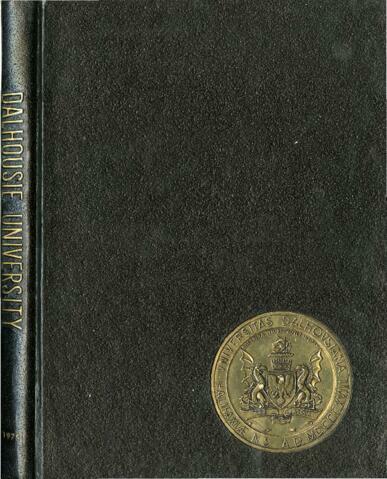 Item is a 1975 Dalhousie University yearbook, 287 pages, black and white with some color. Contains images and text regarding the University, the graduates, the faculty, and buildings on campus. Information regarding the editorial staff can be found on page 281-285. "Pharos" is both a reference to the destroyed lighthouse in ancient Alexandria and the name of the yearbook series. Three duplicate copies of the 1975 Pharos : Dalhousie University Yearbook are in storage (Duplicate MS-1-Ref, Box 16). Item was digitized with the support of the Young Canada Works program.